[Tuscaloosa, Ala.] A rare photograph showing the Rev. Dr. Martin Luther King Jr. at Tuscaloosa's First African Baptist Church and a brief video of the events during Bloody Tuesday at the church have been uncovered by the Tuscaloosa Civil Rights History Task Force. 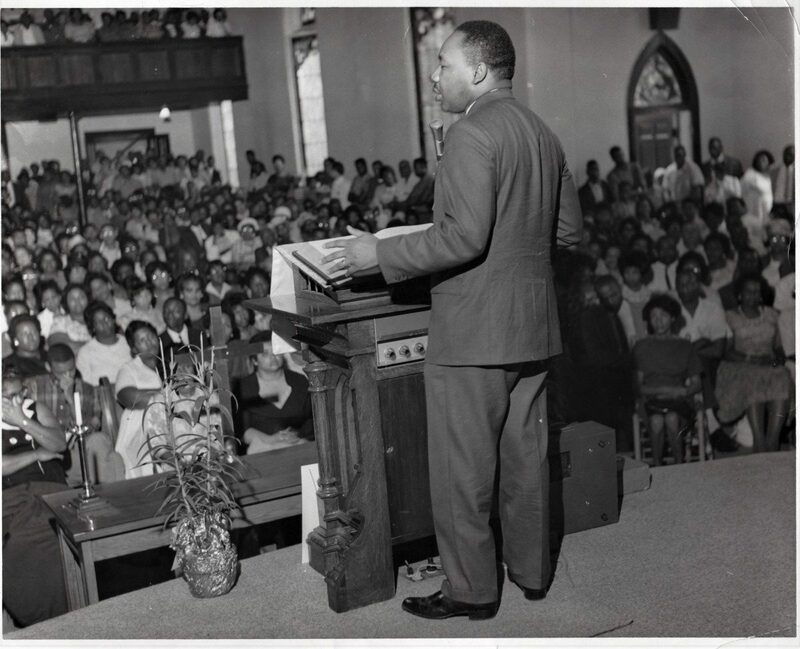 The photo of Dr. King shows him giving a sermon at the pulpit of First African Baptist Church during the Installation Service of the Rev. T.Y. Rogers Jr. Taken on March 9, 1964, by photographer Edward Jenkins--one of the few African American photographers who covered the movement.